Buddhist Monastery and Meditation Center in Thailand - Thaniyo.net Lukla Airport is the most dangerous airport in the world. 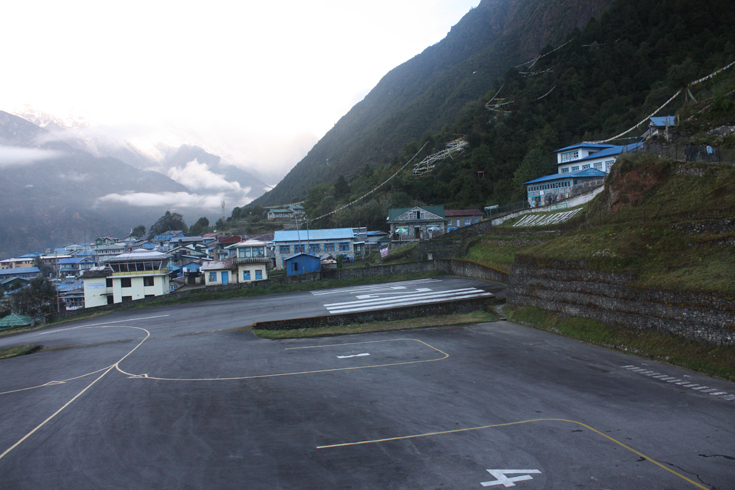 Lukla Airport is the most dangerous airport in the world. 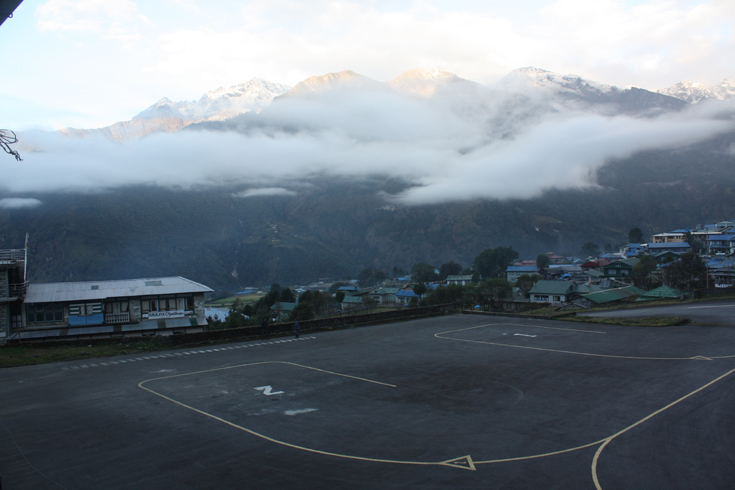 วันอังคารที่ 20 ตุลาคม 2015 เวลา 07:36 น.
Tenzing-Hillary Airport, also known as Lukla Airport, is a small airport in the town of Lukla, in Khumbu, Solukhumbu district, Sagarmatha zone, eastern Nepal. A program titled Most Extreme Airports, broadcast on The History Channel in 2010, rated the airport as the most dangerous airport in the world. 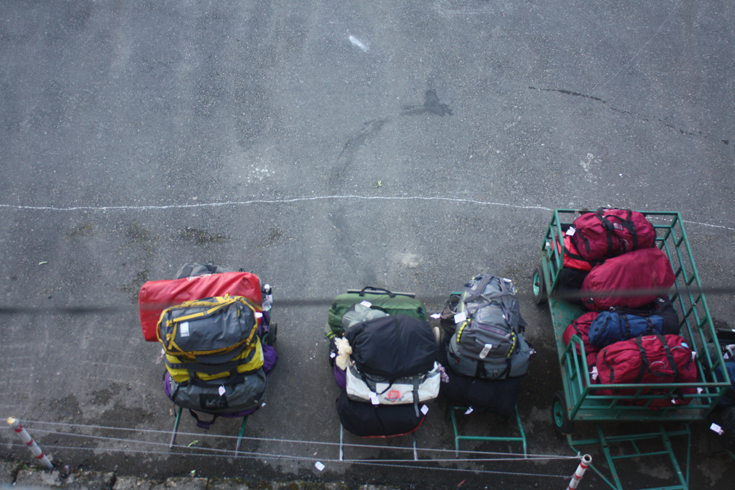 Lukla Airport is the gateway to mount everest expedition in Nepal. The airport's paved asphalt runway is accessible only to helicopters and small, fixed-wing, short-takeoff-and-landing aircraft such as the De Havilland Canada DHC-6 Twin Otter, Dornier Do 228 and Pilatus PC-6 Turbo Porter. 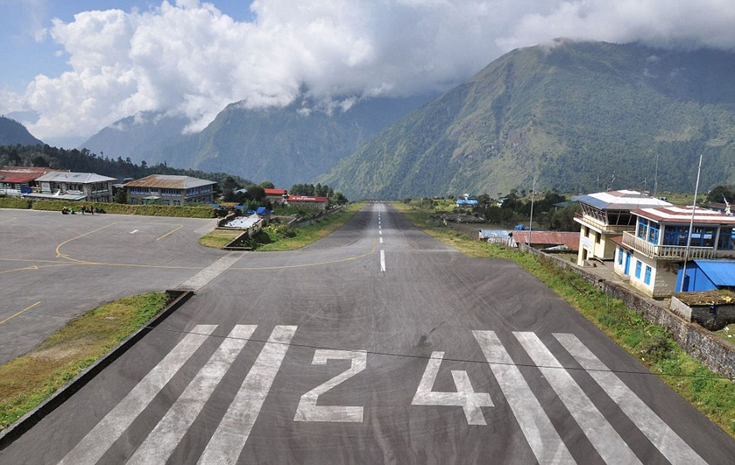 The runway is 527 m (1,729 ft) × 30 m (98 ft) with a 11.7% gradient. 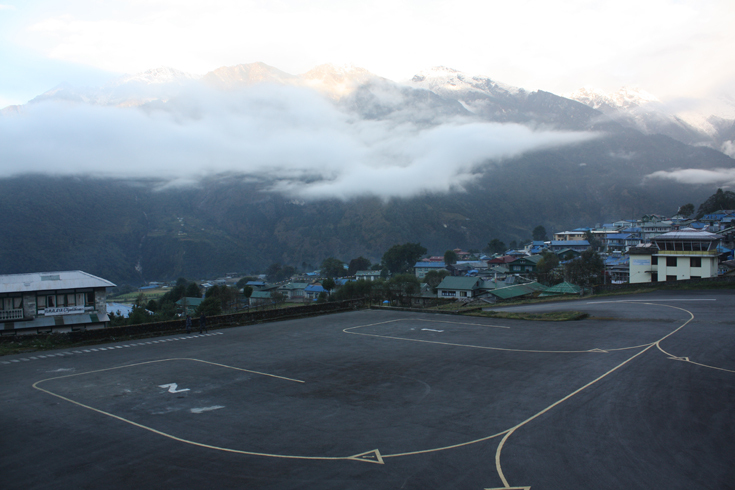 The airport's elevation is 9,334 ft (2,845 m). 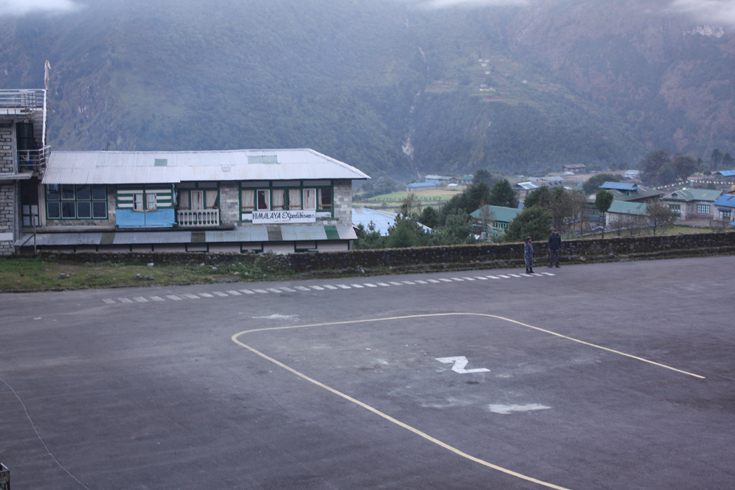 The airport is not only used for passenger flights, as most of the roofs on the houses at Lukla have to be transported by aircraft. Aircraft can use runway 06 only for landings and runway 24 only for takeoffs. There is no prospect of a successful go-around on short final due to the terrain. There is high terrain immediately beyond the northern end of the runway and a steeply angled drop at the southern end of the runway into the valley below. 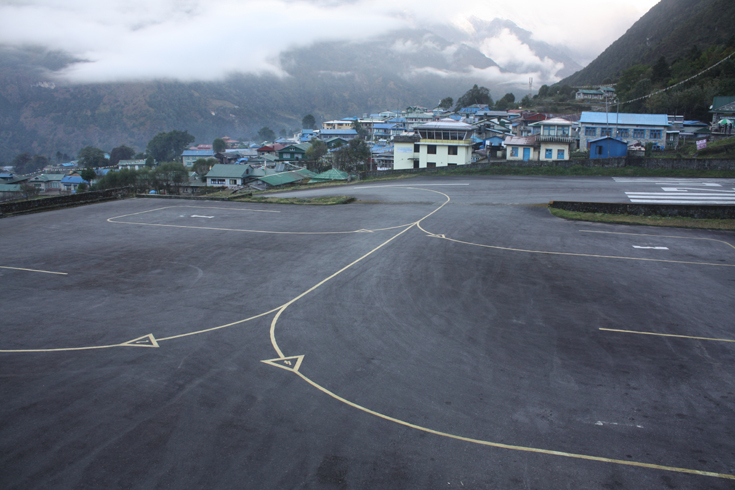 The apron has four stands and there is one helipad located 140 m (460 ft) from the control tower. No landing aids are available and the only air traffic service is an Aerodrome Flight Information Service. 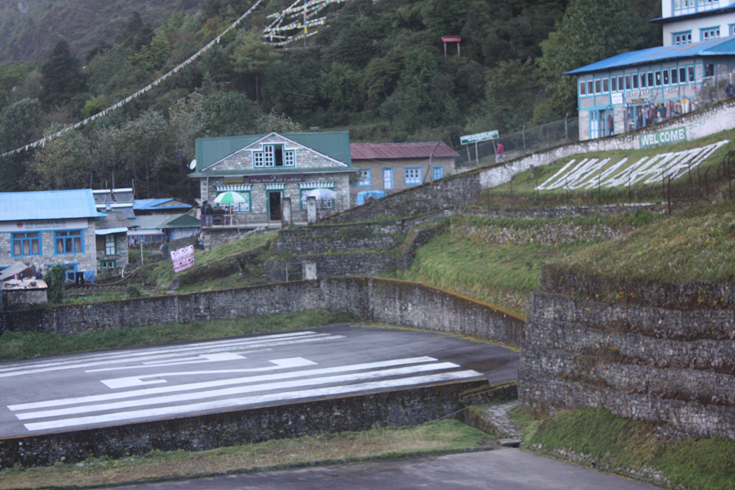 Lukla Airport is one of the world's most extreme airports.